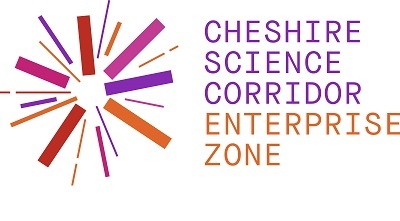 Cheshire and Warrington’s Enterprise Zone, the Cheshire Science Corridor, officially launched today (24th May 2016) at Warrington’s Birchwood Science Park, one of a number of science rich sites across Cheshire that forms the Science Corridor. 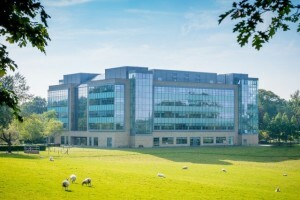 The award of Enterprise Zone status by Government in October 2015 offers the potential for the Cheshire Science Corridor, which covers over 100 hectares in total, to attract up to 20,000 jobs and 500 businesses to Cheshire and Warrington through business incentives and the ability to retain and reinvest new business rate revenue. The Enterprise Zone is expected to lever in approximately £100m additional investment which will be reinvested in essential infrastructure to support business growth. 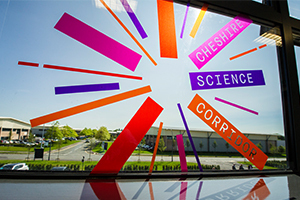 The Cheshire Science Corridor stretches from Urenco at Capenhurst in the West, through to AstraZeneca at Hurdsfield in the East and South down to Jodrell Bank. Led by Cheshire and Warrington Local Enterprise Partnership (LEP), in partnership with the three local authorities of Cheshire West and Chester Council, Cheshire East Council and Warrington Borough Council, the Enterprise Zone will enable the LEP to deliver a range of incentives for businesses. This includes providing significant help with business rates for high growth companies in the life sciences sector at Alderley Park, the leading life science facility in the North of England and the largest R&D facility of its kind in the UK. 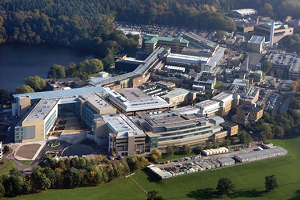 With over £550m invested by AstraZeneca in world-class facilities over the past decade, Alderley Park is one of the best-invested bioscience R&D sites in Europe. It will also promote the development of the nuclear cluster at Birchwood through infrastructure and other improvements, and will allow new investors to benefit from enhanced capital allowances in Ellesmere Port and at Thornton Science Park. Robert Mee, Chair of the Cheshire Science Corridor Enterprise Zone, said: “The Cheshire and Warrington LEP believe the Science and Energy sectors are hugely important in our sub-region. We identified a number of sites with high growth potential and a skilled workforce and it is these sites that make up the Enterprise Zone and will offer significant incentives to attract more science based businesses to help grow these key sectors”. Since the Enterprise Zone was established on 1st April, there have already been a number of applications across the Enterprise Zone, including its first tenant, global medical diagnostics company, Werfen Ltd, the UK affiliate of Werfen Group which manufactures diagnostic instruments for the health sector. Werfen UK has been based in the Birchwood area for over 35 years and is directly involved in the science based industrial supply chain. The UK operation is focussed on education, training and research and development facilities to support learning, innovation and knowledge transfer in the science sector. Xavier Soler, Werfen’s Financial Controller, said: “Werfen wanted to locate to a place where we can retain and recruit the best staff, and one that is well connected for our sales team, and Birchwood Park within the new Enterprise Zone was ideal for its range of tenants, facilities and build we could convert, as well as the added incentives offered through the EZ. “Warrington and Birchwood’s businesses and local authorities have helped attract global companies such as National Nuclear Laboratories and AMEC Foster Wheeler, growing respected nuclear clusters as a result. The formation of the new Enterprise Zone can be expected to build the area’s international profile in much the same way, further bringing opportunities to benefit local development and the wider community. Protos will play a key role in accelerating growth and innovation as part of a new Cheshire Science Corridor Enterprise Zone (EZ). The new EZ – confirmed by the Chancellor in the Autumn Statement – will link together the area’s best commercial developments and internationally significant research facilities. 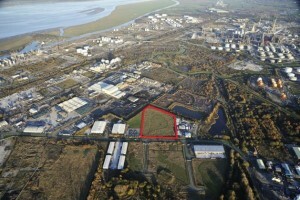 Over 20 hectares of development land at Protos forms part of the new EZ, with the bid submitted by the Cheshire West and Warrington Local Enterprise Partnership (LEP) in September 2015. In total, the EZ will seek to stimulate significant investment across 133 hectares of development land in Cheshire and Warrington. “The creation of this Enterprise Zone is a vote of confidence in Cheshire’s ability to deliver world-class development centred on science. 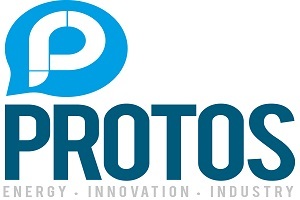 We are proud that Protos will be a key driver for growth in this sector and will form part of the vision to create an internationally-recognised hub for skills and innovative industries. Securing EZ status will provide significant support with business rates; simplify the planning process at development sites; support the roll-out of super-fast broadband; and provide incentives for businesses investing in plant and machinery. The project is central part of the LEP’s plans to deliver a £50 billion economic boost into the area over the next 25 years. Stimulating such investment could underpin the Government’s Northern Powerhouse vision and see growth in key target sectors. Sites included in the Cheshire Science Corridor EZ include Alderley Park, Birchwood in Warrington and a collection of sites across Ellesmere Port, including Hooton Park and the University of Chester’s Thornton Science Park. Join Kier Group and Place North West to hear about the latest in science parks development at this half-day briefing event next month. Science Parks Development Update, in association with Kier Group, is due to be held on Thursday 12 May at Citylabs in Manchester from 8am to 1pm including lunch. The drug discovery and development firm is to establish a 74,000 sq ft drug development facility at Alderley Park, Cheshire, bringing together three subsidiary businesses onto one site. The company has reached an agreement with Manchester Science Partnerships, which will see Alderley Park become the new home for Redx Oncology. The business develops anti-cancer drugs and is currently based within the Royal Liverpool Hospital’s Duncan Building, which is due to be demolished in 2017. Redsun Developments has acquired a 6.3-acre site from Cheshire West & Chester Council, and in the next few months is due to start building a 50,000 sq ft business park. Branded Helix, the business park will be the first phase of development at the plot on Newbridge Road, and will be due for occupation in early 2017. Detailed planning consent has already been secured. Newbridge Road has undergone significant public realm investment by Cheshire West & Chester Council and is within the newly designated Cheshire Science Corridor Enterprise Zone, meaning future occupants of the business park could benefit from up to 100% business rates relief. Read more from Place Northwest. Cushman & Wakefield has been appointed to the Cheshire Science Corridor Enterprise Zone following a competitive bidding process. The commercial property and real estate consultancy has been selected by the Cheshire and Warrington Local Enterprise Zone to get the zone fully operational by 1 April 2016. Caroline Baker and Heather Standidge from Cushman & Wakefield’s Manchester office, together with Ben Pretty and Stephen Miles from the Leeds office, are working collaboratively with the local enterprise partnership, the three constituent Cheshire and Warrington local authorities, the government and landowners on the project.